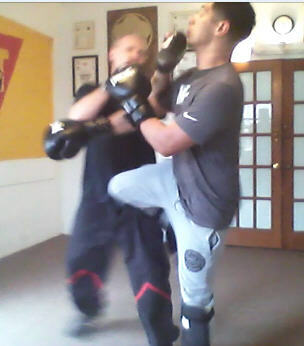 WHAT YOU WILL LEARN: How even beginning Wing Tsun can beef up your fighting game, no matter what martial art or sport you practice. Sparring is the "common language" of all martial arts. When we learn different arts, styles, sports, or whatever, we rarely appreciate what the other is doing and why - but we can all spar and "talk" to each other that way. Unfortunately, most Wing Tsun sifus don't teach sparring, whether in their regular classes or anywhere else. Sifu Alex has over thirty years of experience in teaching Wing Tsun. He "walks the paths less trodden" because he teaches sparring in Wing Tsun, even as part of "Student Program 1". Come join us at this seminar, and we promise you will walk away with a bag of new "tricks" that you haven't thought of before and that will beef up your fighting game, no matter what you practice. Please bring MMA-style gloves or boxing gloves, shin pads, cup, and mouth piece. Of course, don't forget your towel, water, and a snack. See you there! !